Popular Facebook game Mafia Wars comes under fire today as creator Zynga is sued for trademark violation by Digital Chocolate, the creator of the Mafia Wars mobile phone game series. Digital Chocolate, a developer of mobile and PC games founded by EA founder Trip Hawkins, is the creator of the Mafia Wars mobile phone game series, which includes Mafia Wars, Mafia Wars New York, Mafia Wars Yakuza, and Mafia Wars 2: Scarlotti's War. It's a series of isometric adventure games in which a character advances up the ranks of a criminal organization by performing various tasks. Zynga's Mafia Wars is a more-or-less text-based game for Facebook and the iPhone in which your character advances up the ladder of several criminal organizations by performing various tasks. Now Digital Chocolate files a 69-page federal complaint against Zynga, claiming the company "falsely claimed to the public, the United States Patent Office and the courts that it 'coined' the Mafia Wars mark and owns superior rights to the mark." According to the filing, Digital Chocolate informed Zynga that it owned the rights to the name last year, and received a letter in response stating Zynga would stop using it. The filing claims Zynga instead launched a multi-million dollar marketing campaign with 7-Eleven and filed two trademarks for the game and merchandising based on it. Digital Chocolate is asking that Zynga be forced to stop using the name, turn over any Mafia Wars product, and launch a corrective ad campaign worth double what the company spent marketing Mafia Wars in the first place. "We are surprised and disappointed by Digital Chocolate's lawsuit. The timing of the action appears to be opportunistic, and we plan to defend ourselves vigorously." 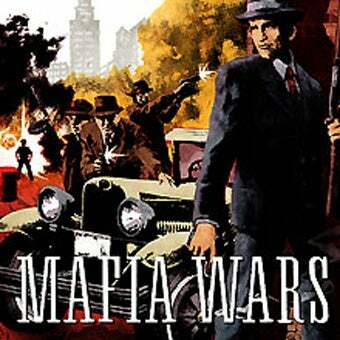 Zynga owns two Mafia Wars trademarks and a copyright.